I came across this series of photographs by German art student Lisa Rienermann on an online blog. 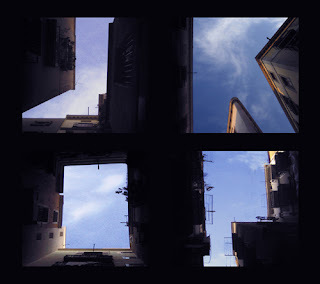 In 2005 Rienermann spent a semester abroad in Barcelona and this is where she first looked up realised that the architecture of the city formed type in the sky when photographed from below. After finding the letter Q she set out to find more letter forms, spending weeks only looking upward. 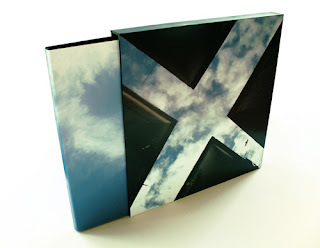 'Type the Sky' won the 2007 Award for Typographic Excellence. The collection is packaged as a type face and a book. 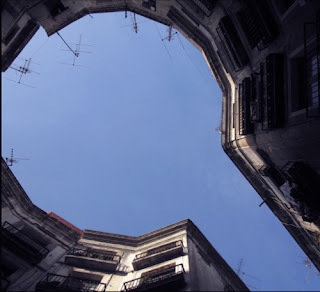 The photographs play with negative space revealing letters forms in the sky, providing us with another way of looking at things. 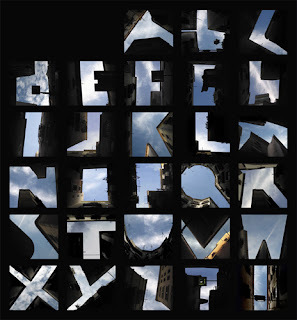 The work presents an interesting cross between photography and typography.